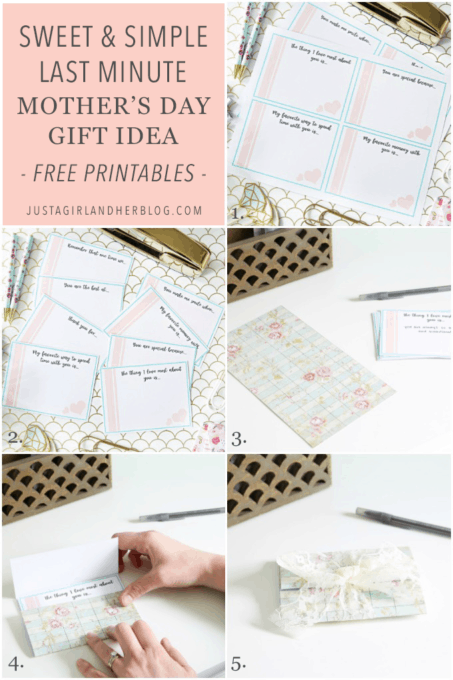 A Sweet and Simple Last Minute Mother’s Day Gift Idea with Free Printables! 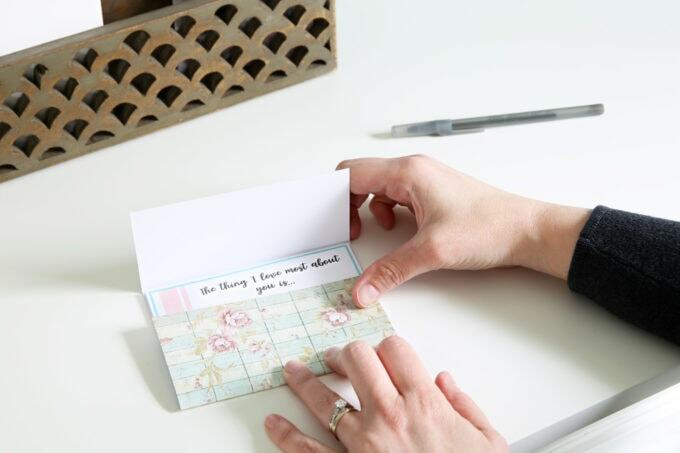 This sweet and simple last minute Mother’s Day gift idea is the perfect mix of thoughtful and easy-to-execute! 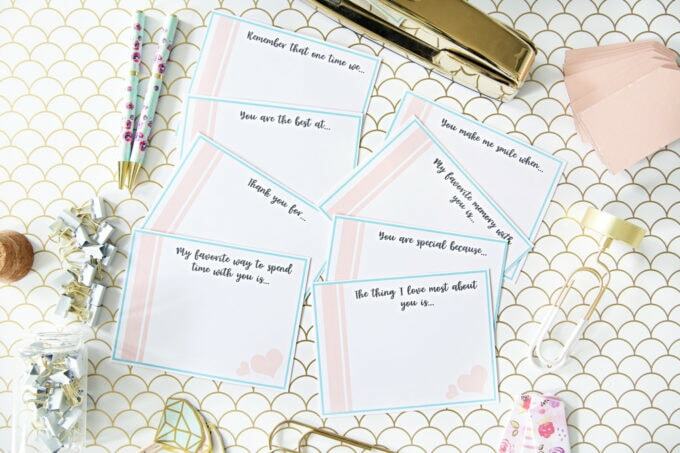 Grab the free printables and get ready to “WOW!” mom (or grandma)! 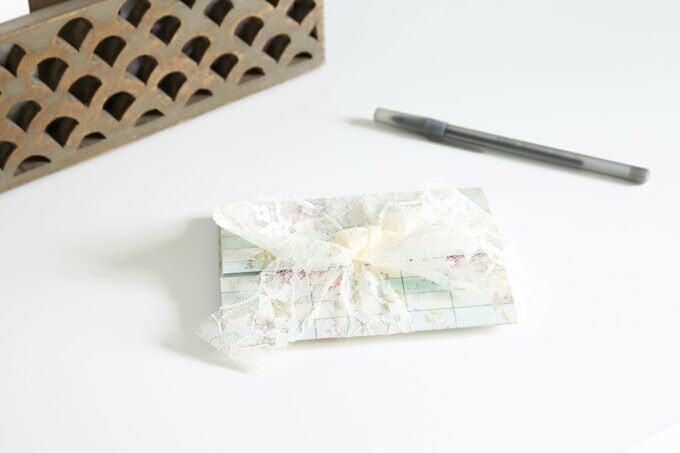 Because of this tendency toward procrastination, then, I am always delighted when I see gift ideas that are thoughtful, quick, and simple to execute! 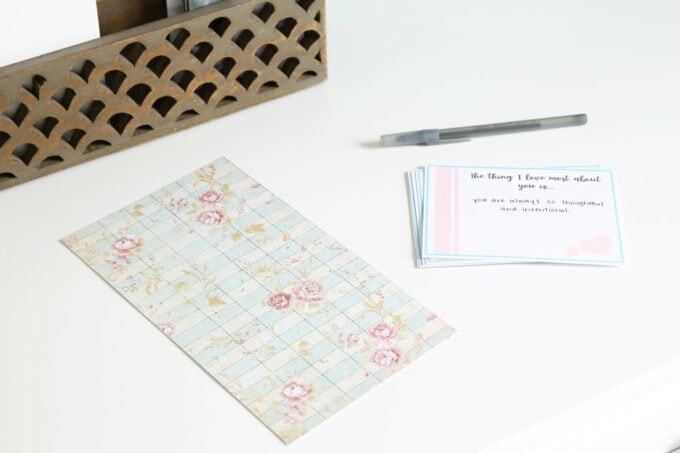 And with Mother’s Day coming up in just a few days, I thought I would provide you with just that: a cute last minute Mother’s Day gift with free printables! Step 2- Print your Mother’s Day cards. Being a mom is an extremely important, but oftentimes thankless, job. And while we moms love, love, love our kiddos and having the opportunity to raise them whether we hear words of praise or not, I’m not exaggerating when I say that some of the best gifts that my kids have given me have been the “words of affirmation” gifts, the ones where they take the time to express their love in more words than just a quick “love you!” as they’re running out the door. That’s not always easy, though! 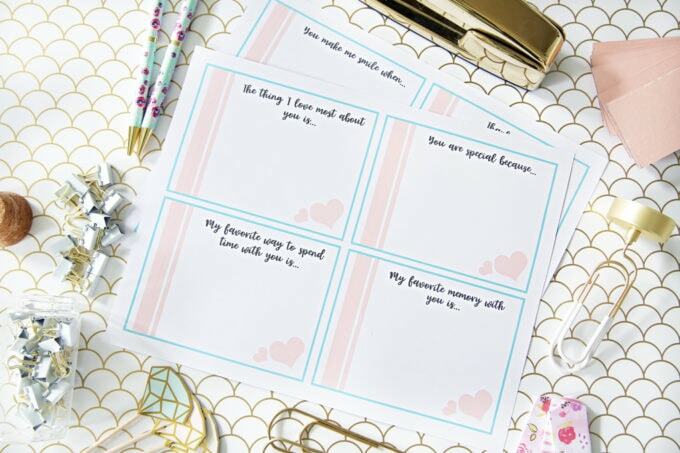 So in order to make the kids’ lives a little easier and the moms’ hearts a little fuller, I created pretty printable cards with simple prompts for the kids to fill out, sharing the things that mean the most to them about their mom (or grandma or caregiver or whomever)! Click here to download your free printable Mother’s Day cards! I printed my cards on white card stock so they would be a bit sturdier, but if you don’t have card stock around, regular printer paper will do! Step 3- Cut out the Mother’s Day cards and fill them out. I like to use a paper trimmer to cut out my cards, just because it makes the process neat, quick, and easy, but scissors would work too, of course. There are 8 different cards. Each child could fill out 1, 2, or all 8– there are no rules here! You know your kids and what they can handle best! Once your cards are filled out, you can really package them any way you choose. You could punch a hole in the corner and put them on a binder ring. You could put them in an envelope. You could hide them around the house and send mom on a scavenger hunt to find them. Or you could make a simple sleeve like I did below. I then folded it around the cards, folding up the bottom part of the scrapbook paper so it covered about 2/3 of the cards, and then folding the top part over so that it overlapped with the bottom part. 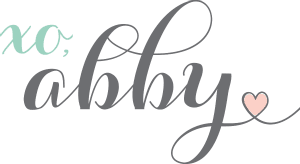 To hold my little bundle together, I grabbed a piece of ribbon (mine was about 30″ long) and tied it all together with a pretty bow. What is your favorite Mother’s Day gift that you’ve ever given or received? I’d love to hear about it in the comments! Waht a lovely idea for Mom. Happy Mother’s Day to all! I hope everyone gets a day of pampering and rest! Thanks, Tanya! Hope you had a great day! Thank you! This heartfelt yet still easy gift was exactly what I was looking for.